This is a guilt free & sugar free ladoos which consists of oats, peanuts, flaxseed and jaggery along with the goodness of ghee. Each ingredient used in this recipe have their unique nutritional properties which are combined together to form a healthy snack. 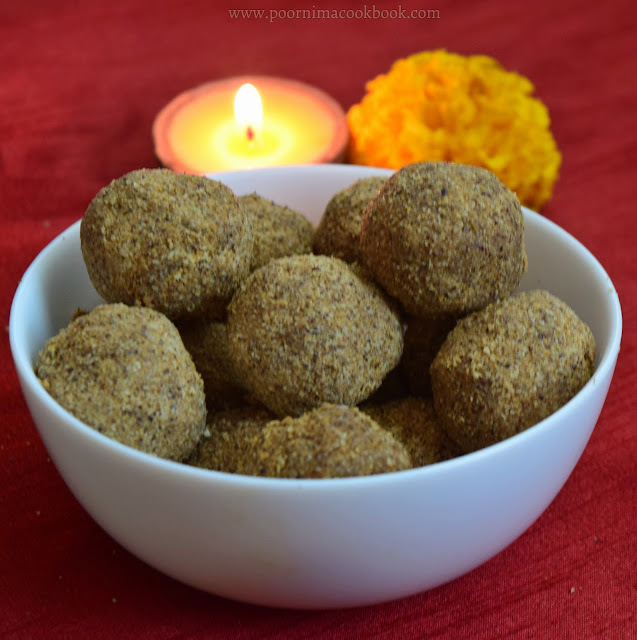 These energy balls / ladoos are tasty, easy to make and perfect after school snack for kids and also it is a great substitute for people who want to satisfy their sweet cravings. Take a pan and dry roast oats till it becomes hot and give out aroma. Transfer into a separate plate and allow to cool. In the same pan, roast flax seeds(it used to crackle wile roasting) once it is done, remove and allow to cool. Follow the same procedure for peanuts. Add roasted oats, peanuts and flax seeds in a mixer and give it a pulse. Add grated or powdered jaggery into the oats mixture. Grind it. Transfer that into a separate plate. Add cardamom powder and mix it. Add the melted ghee into the powdered oats and jaggery mixture; mix well. Now make lemon seized balls using your palm. Store in a air tight container. ; Relish! 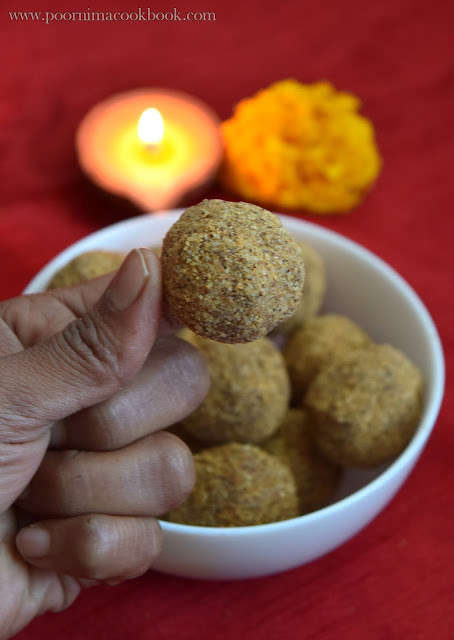 You can store this ladoos for a week in room temperature. 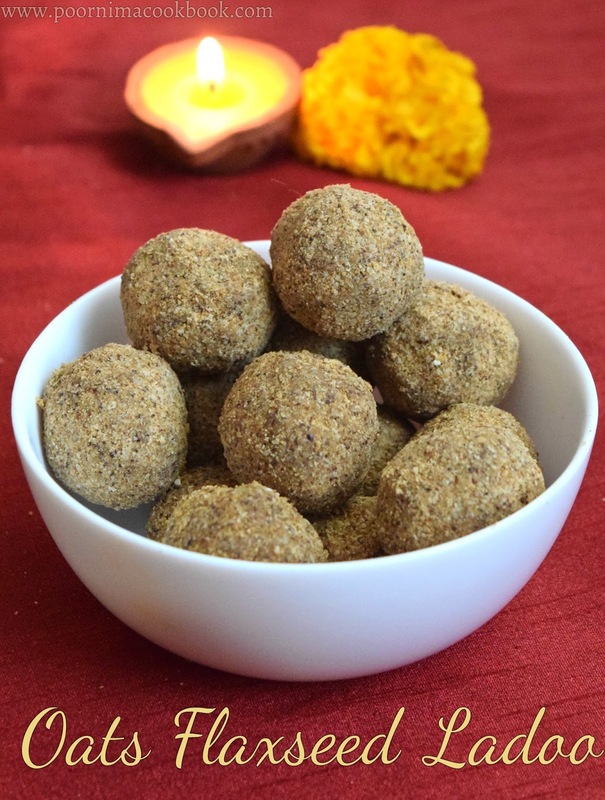 You can alter the amount of oats, peanuts, flaxseeds and jaggery according to your taste. Hi poornima. Can I use steel cut oats?